February 28th, 2019 | Moving Tips. When you think of spring break, you likely picture road trips, white sand beaches, or other popular vacation options. The last task you want to undertake over your spring break is your upcoming move. However, many moving companies recommend the spring season for moving when possible. In this blog, we discuss six reasons why you may want to schedule your move over your spring break. 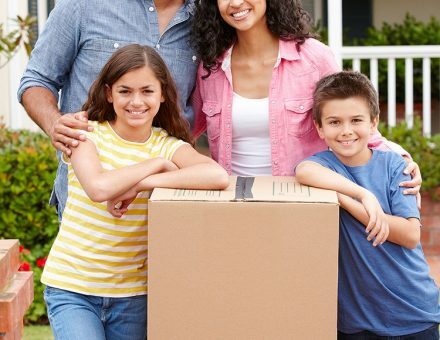 If you’re moving far away, one of the most difficult issues you may consider when you prepare for a move is the easiest way to ensure that your children transition from their current school to their new one smoothly. Additionally, if you’re moving due to a promotion or new job, you may worry about the dip in productivity and personal confidence that comes from switching jobs or transferring between offices. You and your children may find it easier to leave one school and job at the beginning of spring break and transition seamlessly into other environments instead of adjusting twice. Many real estate authorities recommend spring as both the time to put homes on the market and the time of year to go house hunting. Because many individuals start to prepare for summer moves in the spring, their house hunts begin during the springtime. When you sell or buy during the spring, you have the advantage of more buyers looking for homes like yours and more inventory to choose from. Additionally, if you plan to rent, property managers may offer move-in specials during the spring to increase the number of leases signed during this typically slow season. Whether you want your children to help with your move or would prefer that they stay safely occupied elsewhere, spring break provides readymade arrangements for them. Older children will have enough time away from school to help with moving tasks and may still have free time to enjoy smaller vacation staples like afternoons at the movies. Additionally, spring break allows you to make short-term arrangements for your children rather than making the grander plans that are sometimes necessary to fill time during summer vacation days. Moving over spring break also ensures that your summer vacation isn’t characterized by labeling boxes and disassembling furniture. Whether you have strict spring maintenance traditions or you play your spring cleaning by ear each year, you likely feel a strong urge to do a little extra tidying up as temperatures begin to rise and skies begin to clear. Your spring cleaning efforts can segue easily into the preparations for and finishing touches on your move, simplifying the overall process. Since many households capitalize on the time offered by spring break to complete their spring cleaning to-do lists, adding your move to this time frame can optimize your schedule. You can also bring your cleaning supplies to your new home to give it a once-over before you move in so that you have a fresh, clean, and welcoming environment to come home to. Arguably one of the best characteristics of spring is its generally temperate weather conditions. Overall, you have few bitterly cold or blazingly hot days to contend with and lower levels of overall precipitation as well. These mild conditions make spring a season that is ideal for moving. Additionally, because the spring break time frame for an area is often chosen partially because of the expected weather, timing your move to coincide with spring break can increase your chances of clear skies. If you’re moving locally and no one is switching jobs or schools, spring break is the perfect time to move since your kids already have the time off. And even if you don’t work in the education industry or another industry that gives you time off at the same time as your children, you may know from past family spring break vacations that you can often arrange your requested time off to ensure that you all get to enjoy the break together. When you schedule your move during spring break, you have the option to request paid time off, leave, or even sick days to take full advantage of a spring break move. As your move and spring break approach, consider combining the two events to take advantage of these benefits and expedite the moving process. For personalized recommendations on your move during spring break or any other time of year, trust the expert moving team at Wheaton World Wide Moving.